Today, Google announced a new version of Hangouts, which is actually two apps, Hangouts Meet and Hangouts Chat. Both are meant for business-users, but that doesn't mean the old Hangouts is totally going away. Yet. Hangouts Meet is a video meeting app. It is not exactly the same as the regular old Hangouts video chat we've all been using for a while. 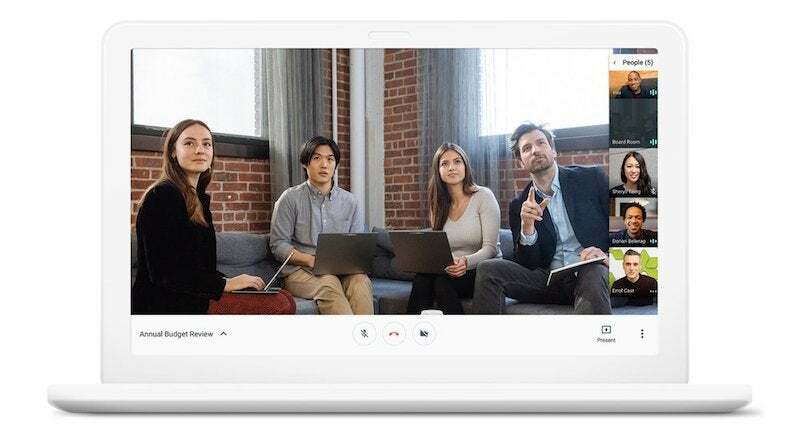 Instead of focusing on a Skype-like interface, Hangouts Meet is instead all about large video conferences of up to 30 people, which means single-link sign-ons delivered directly from Google Calendar with no plugins required. It's available to enterprise users starting today. Google's also introducing Hangouts Chat, which is basically Google's version of Slack that uses a variety of bots to make tasks like scheduling meetings a little simpler. Just to keep you on your toes, one of the bots is called @meet, and it's all about scheduling meetings in Google Meet. Hangouts Chat has special dedicated rooms for various projects, threaded chats (which Slack is currently lacking), filterable search, and one-to-one private chat. 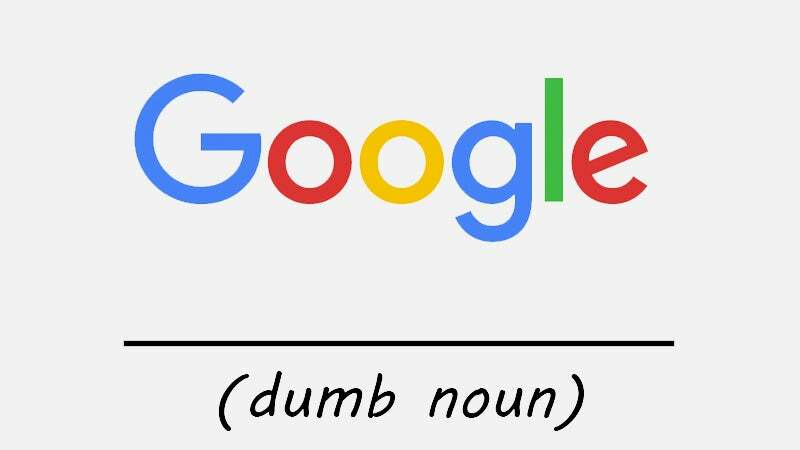 Since this is Google, everything can be linked to Google Docs, your Calendar, or Drive. Hangouts Chat is currently only available for companies enrolled in the early adopter program. So, those are Google's new Hangouts products, because Hangouts is apparently now more of a brand and not just an app, which might make more sense in the long term. But what exactly is going on with regular old Hangouts, the service that was a replacement for GChat/Voice and is still used by for video chat, texting and phone calls by the bulk of Android users? Or maybe you just know Hangouts as "the thing that pops up in Gmail sometimes". The consumer version of Hangouts still exists, for now, but Google is clearly making a push for you to use its two new terribly named consumer focused apps, Allo and Duo. Allo is for messaging, Duo is for video calls. Speaking with TechCrunch, Google's Scott Johnston suggests that the consumer version of Hangouts might get some of these Chat/Meet features in the future as well. Android/iOS. Today, Google's rolling out Allo, the messaging app it previewed at I/O earlier this summer. This is also the first real glimpse we get into the new Google Assistant. For those following along at home, Google's certainly done this to its chat clients before. Prior to the trio of Allo, Duo and Hangouts, there was Google Talk, Google Voice, Buzz, G+ Messenger and the regular old Android SMS app. Now, the Google's push seems simple: All Hangouts products are for enterprise. Allo and Duo are for consumers. Except when you're on a desktop computer, in which case you'll use Hangouts for messaging inside of Gmail. Or if you want to have a group video chat with more than one other person, because you'll need to use Hangouts for that too. Google seem to think that people want a different app for everything. And on paper that's what people use. Not because they want to, but because Android OEM's shove their own crappy solutions in people's faces. Most of the people I know who use Hangouts is because it does everything in one app. SMS (on Android), data messaging, voice, video, has a web app and can be used on multiple devices. And until they put SMS, multi device support, the web client they've been teasing and a deep link to Duo for video chat into Allo, it's never going to take off.